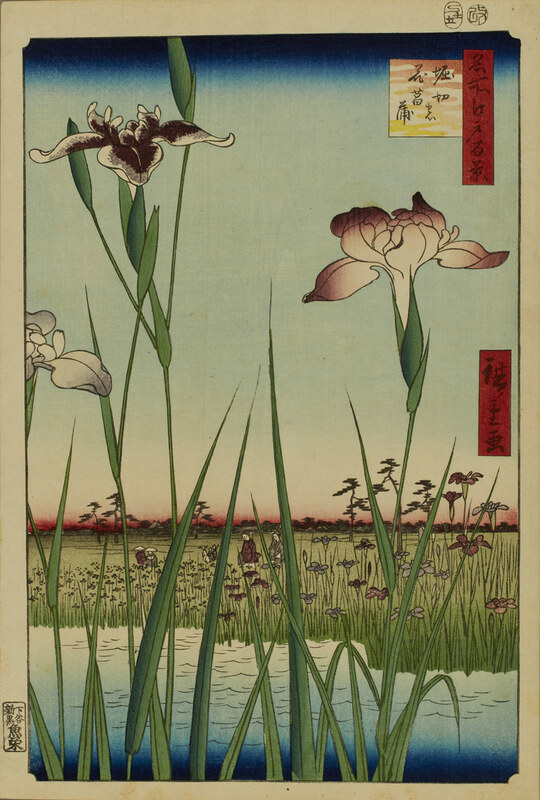 Utagawa Hiroshige (Japanese, 1797–1858), Horikiri no hana shōbu (Horikiri Iris Garden), No. 56 from the series Meisho Edo hyakkei (One Hundred Views of Famous Places in Edo), 1857, 11th month, color woodblock print on paper, Museum Purchase: Funds provided by Asian art auction proceeds. Led by the Curator of Asian Art, this council provides opportunities to learn about Asian art and cultures. Members enjoy lectures, study groups and social events. Join a travel group to visit Asian countries, collections, and exhibitions around the United States.